With the coming of the Civil War, and the staggering casualties it ushered in, death entered the experience of the American people as it never had before -- permanently altering the character of the republic and the psyche of the American people. Contending with death on an unprecedented scale posed challenges for which there were no ready answers when the war began. Americans worked to improvise new solutions, new institutions, and new ways of coping with death on an unimaginable scale. 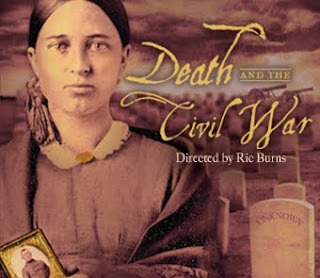 Tune-in Monday, September 24th at 9 P.M. for the Rhode Island PBS broadcast of American Experience: Death and the Civil War a film produced and directed by Ric Burns, based on the book, This Republic of Suffering: Death and the American Civil War (January 2008) by Harvard University President Drew Gilpin Faust, a civil war historian and professor of history. Click for more information and video. Broadway or Bust: Do They Have What It Takes?